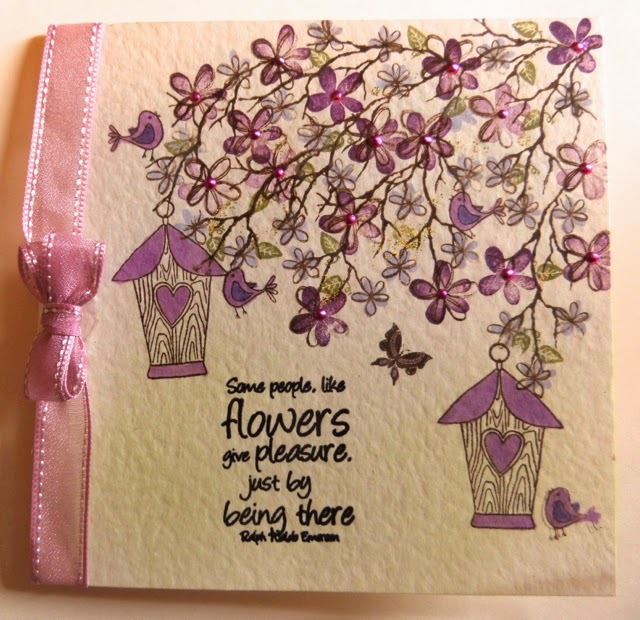 Hi Clare, This card by Lynn is so pretty, I have quite a lot of stamps from Card-io and it is so easy and quick to make-up a very pretty card with them. Well that was nice of your friend to give you such a sweet card!! It is very cute! Will be anxious to see what you do with your new stamps. Do you have a new video for us soon? See how selfish I am, lol, can't get enough of your talent and inspiration!!!! Hi Clare, Such a lovely gesture by your friend and I agree it's a very pretty card. I'm ashamed to say I still haven't completed my workshop album yet as my time has been taken up with family matters of late, however I promise I'll complete it just as soon as I get some free time. So pleased to read that you had a good day at the Craft Show. Thanks for sharing this with us and I hope you enjoy the rest of your day. What a kind and thoughtful friend you have in Lyn and by the message on the card she feels the same about you. Lovely card by you Lyn and thanks for sharing it with us Clare.